I had one as a kid. I had the "1894 Spittin' Image" rifle. We actually played war with them. 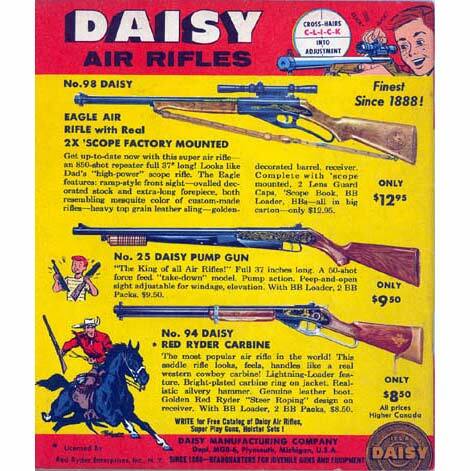 My friends has Crossman Pump Guns.......they were much more powerful and they stung ! We would fight "The Commies" in the "swamp area" between 148th Ave and Kennedy Airport back in the 60's. No way one of these gets sold in 2012.